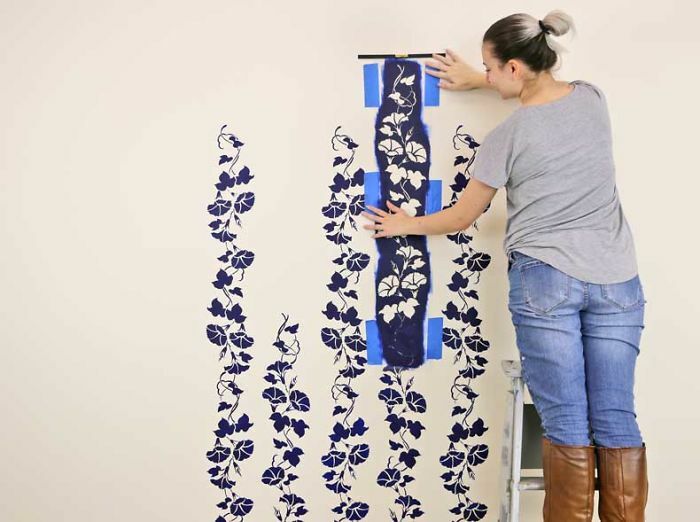 Upgrade your walls with this simple floral stencil DIY. You can always get creative when it comes to redesigning and decorating your home as there is so much one can do to design a space one can feel comfortable being in. However, most of you think redesigning and adding aesthetics to home could get expensive, but that is not always true. With simple DIY tips and tricks, one can not only save chunks of their money but can also help themselves with professional looking work. 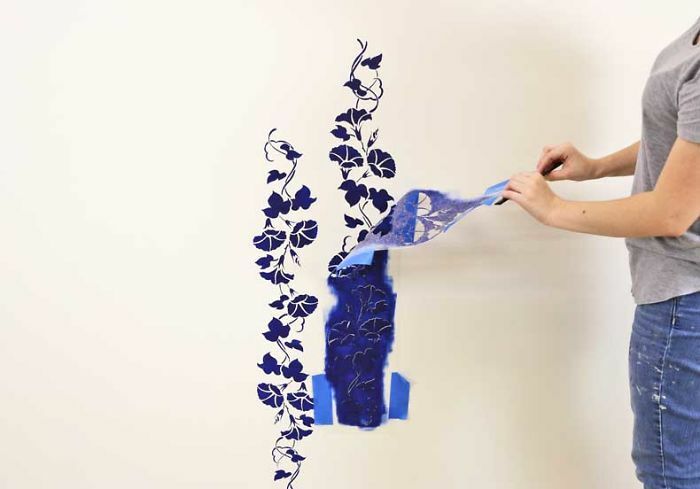 So today we will dive into a simple yet super trendy Dark Florals stencil DIY that would bring your walls to life. With that being said let’s get stenciling. 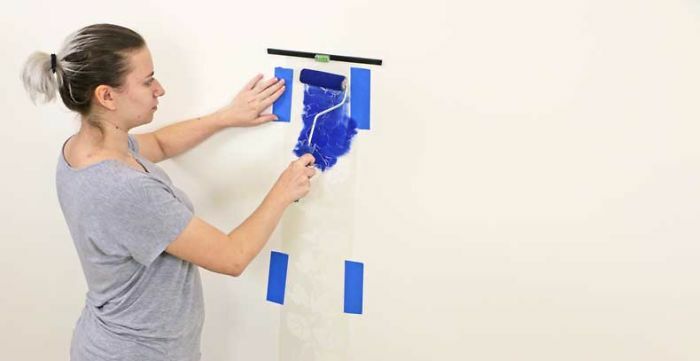 Start with adjusting the stencil on the wall using painter's tape. Make sure the bottom of the stencil is close to the baseboard. And baseboard is properly covered using painter's tape. 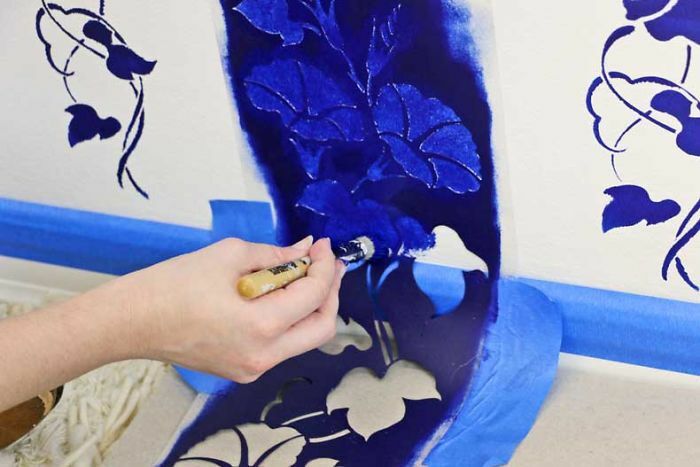 Now dip the roller into the color bucket and start stenciling. Make sure you off-load excess paint from the roller before stenciling or the excess paint would flow down polluting the entire design. Moreover, if the color you chose doesn’t excite you enough, wait for the paint to dry completely then add a second coat. 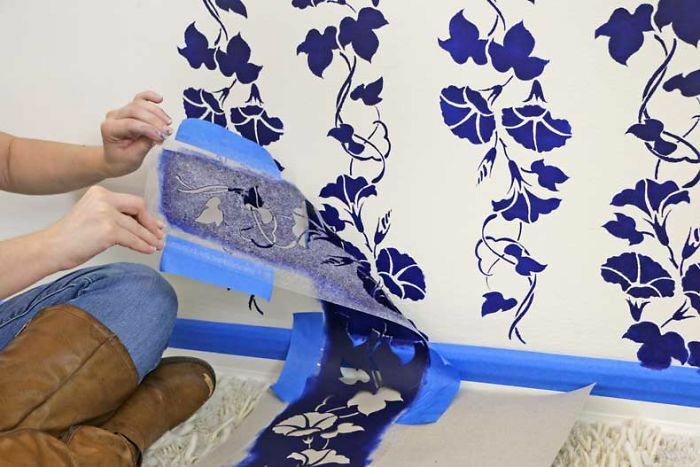 Peel off the stencil to expose the gorgeous floral pattern. The next step is optional. We decided to flip the stencil so that the flowers faced up instead of down. 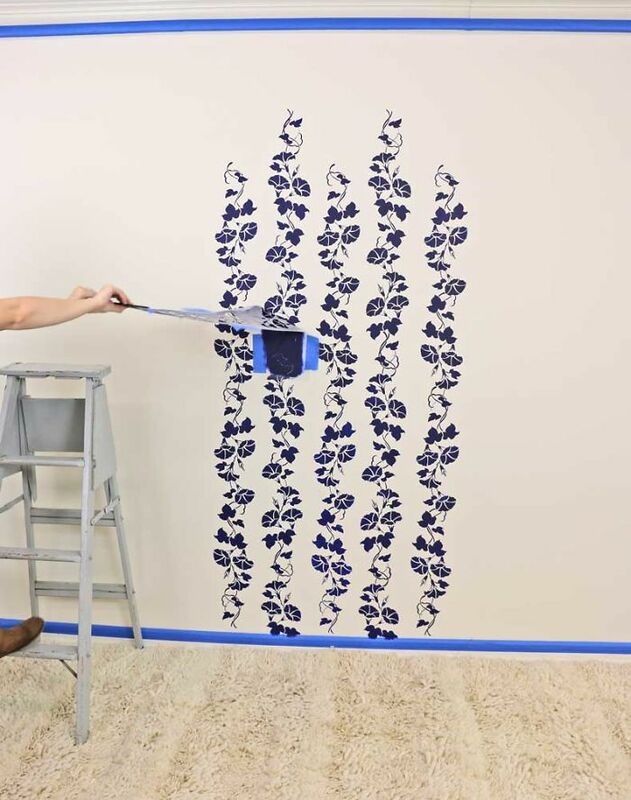 If you are interested in doing the same, place the stencil next to the previously designed pattern leaving sufficient space on the side and the baseboard. Once again repeat the same process as before (stenciling the wall). Your accent wall is going to look beautiful. 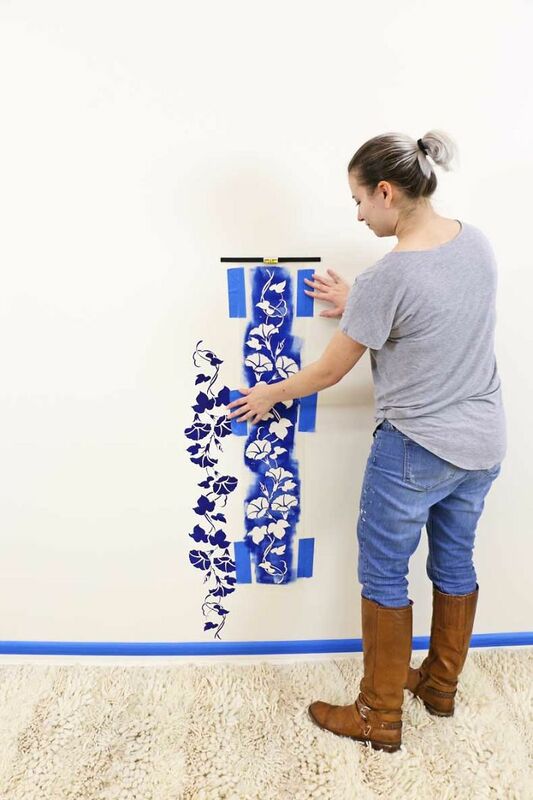 For the bottom portions near the baseboard simply align the stencil with the previously stenciled parts. Don’t be afraid to bend the stencil so that it fits perfectly. 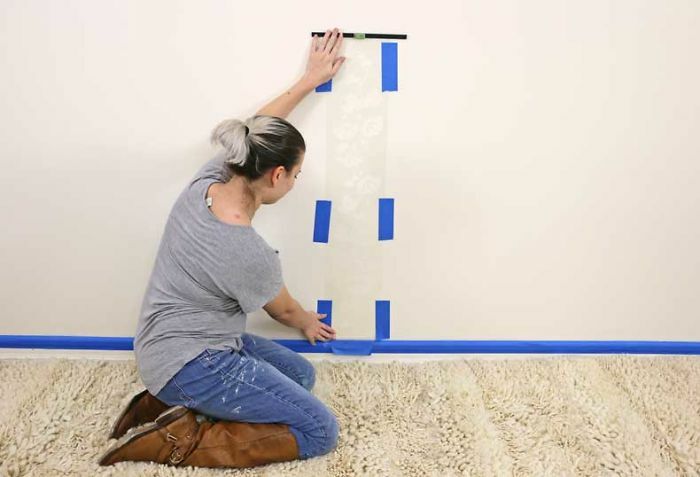 Using a brush, stroke the paint down towards the baseboard. 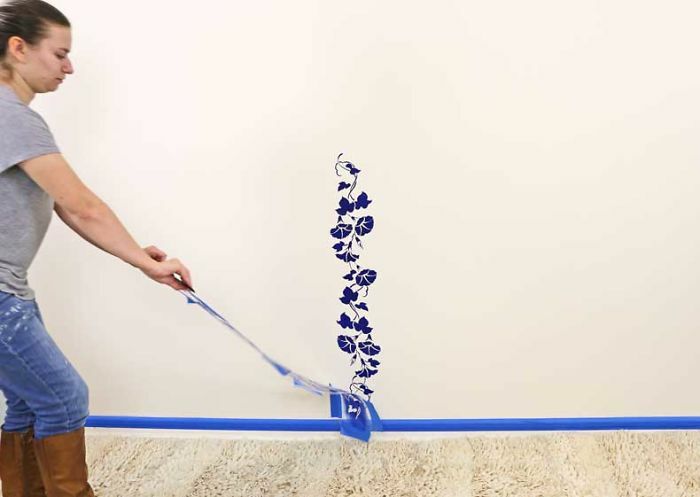 This will help achieve a crisp line once the blue painter’s tape is later removed. 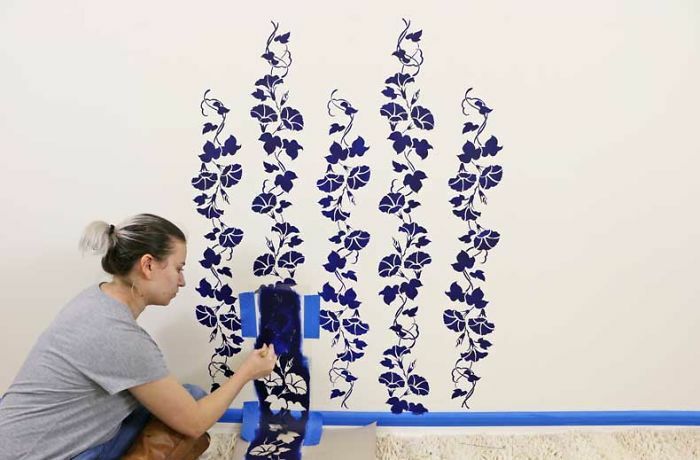 Peel back the stencil to reveal the finished bottom half of this gorgeous Morning Glory vine. Repeat the process until you achieve what you want as far as floral design goes.